Lingrove is a materials and design firm focused on plant based fibers and resins. Our signature Ekoa® composite is an elegant and Earth-friendly solution for demanding applications. 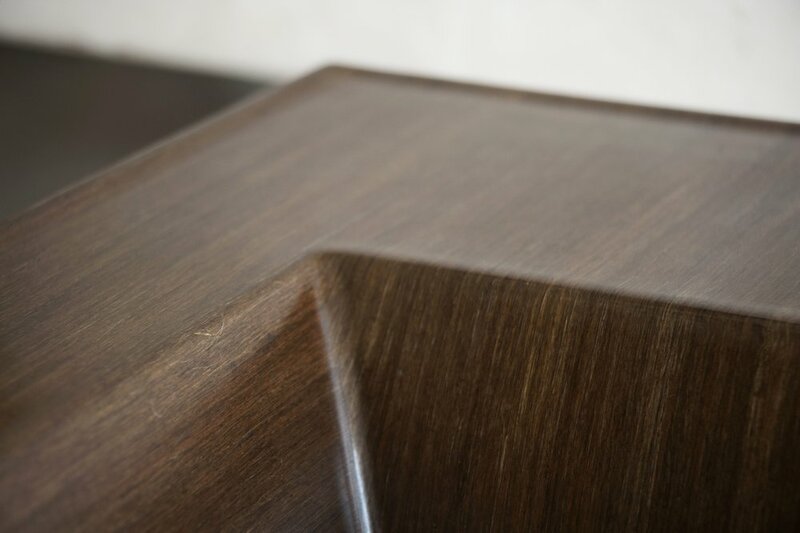 A familiar natural grain finish adds timeless style to your application. The benefits are more than skin deep with lighter-than-carbon fibers of superlative strength and damping properties. Go natural. Create better products. Ekoa® is slightly translucent, allowing for a wide range of finish options by either lightening or darkening the substrate. With an Ekoa®/carbon fiber ‘hybrid’ layup, the workpiece has a dark hardwood Ekoa® look, plus the added rigidity of carbon fiber. Finishes can be further dialed in via fiber orientation, as well as resin tinting and fiber dye for larger orders. This dragon boat paddle sports an Ekoa® layer over carbon fiber with a dark natural finish. It is completed with some variety of the dark carbon fibers showing through the lighter and slightly translucent Ekoa®. This is the perfect example of Ekoa® replacing the typical carbon fiber woven look for a natural look with greater vibration damping and no compromise in performance. For the first time, composites enter the realm of designer materials with an authentic natural grain look made from long flax linen fibers. 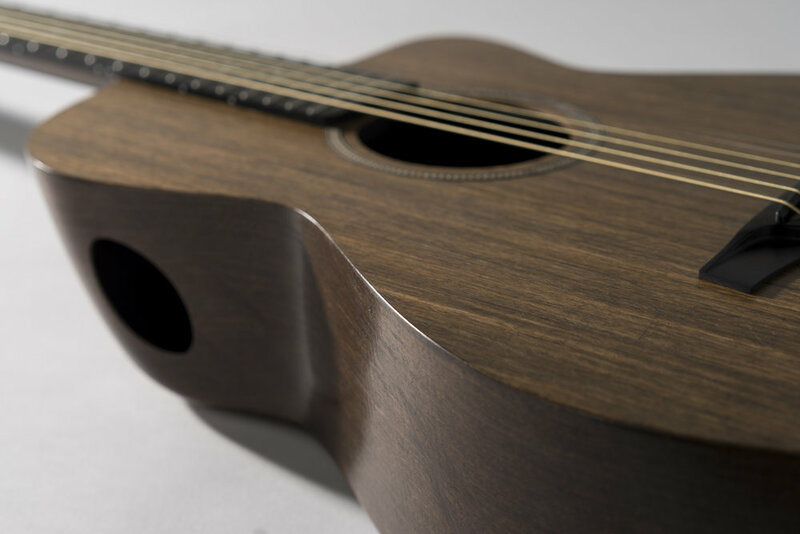 Three-dimensional Ekoa® parts offers a sculpted natural look, while two-dimensional panels offers the feel of a wood panel—all this, with the environmental stability and stiffness-to-weight only composites deliver. We are able to dye linen fibers in a myriad colors. Our highly customizable material allows for a wide variety of finishes. From traditional natural grain, to an entirely new look, Ekoa® can be dyed. Dyed fiber offers visual depth not achievable with painted laminates. Dye is offered for large orders.